In addition to tutorials, field trips and workshops, there are a number of other special events planned. The welcome reception includes a delicious wine and cheese spread where beachcombers will spend time socializing before settling down to the welcome address. Authors of some of your favorite beach-related books will be on hand to sign copies of their works for you. Additionally there will be participant-vendors selling loose sea glass, beach art and artifacts, and seaglass and shell jewelry. 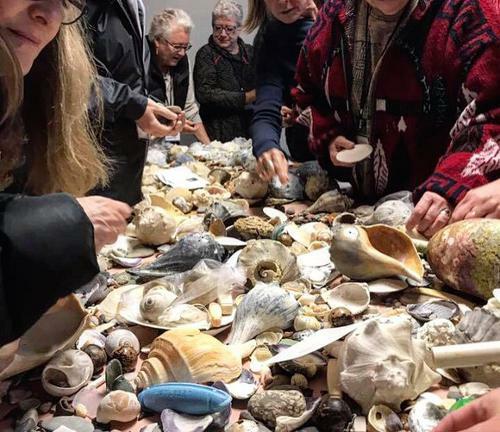 One of the most popular features of IBC is the swap table loaded with sea glass, shells, stones, driftwood & whatever else participants bring to donate. This – along with the “Goody Bag” given at registration - assures that no one goes home empty-handed. An incredible array of beach-related goods - vintage coastal books, shell & sea glass jewelry, beach bags, Asian fishing floats, and sea glass collections - are offered that IBC’ers can win for mere dollars. 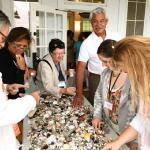 Donated by IBC authors, artists, and beachcomb participants, the monies generated are used to defray the cost of the conference and support non-profit coastal conservation efforts. If you have something you would like to contribute to the raffle, please let us know. Some time will be devoted to an informal bazaar of sea glass and coastal crafts and treasures. Up to 15 participants interested in selling items can register ($30) as a vendor. The idea here is casual, relaxed, easy, no props. Items will simply be displayed on tabletops for everyone to mill around, examine and purchase. The Bazaar is a way to help participants promote their artworks while at the same time earn funds to defray their conference expenses. Lucky Dip are colorfully-wrapped packets of rare Sea Glass waiting for you to select and open. It feels like Christmas all over again (when you were 6!). For sea glass aficionados, it doesn’t get much better than orbs of English Sea Glass and IBC offers all participants an affordable opportunity to go home with some of this pocket treasure. Ever wonder what the item you found on the shore is or where it came from? 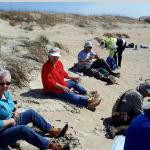 Bring your beach treasures (or pictures of beach treasures) to show to others (including any interesting stories behind their discovery). 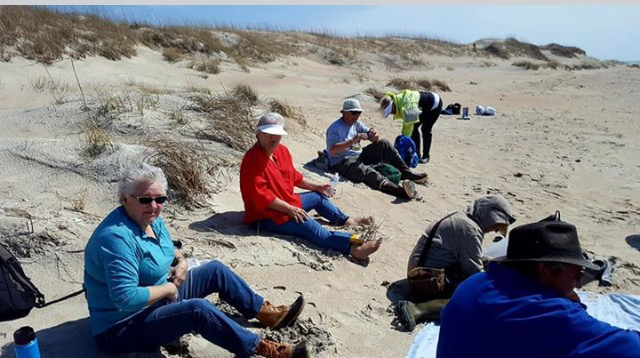 Beachcomb specialists will be available to help identify and/or give you more information on them (that is, if they can!). After-hours small group learning sessions with specialists, where you get to go in-depth on particular subjects. IBC ’18 formally ends with a final family-style farewell brunch, during which time next year's conference is discussed and raffle winners are announced.